You have a choice. 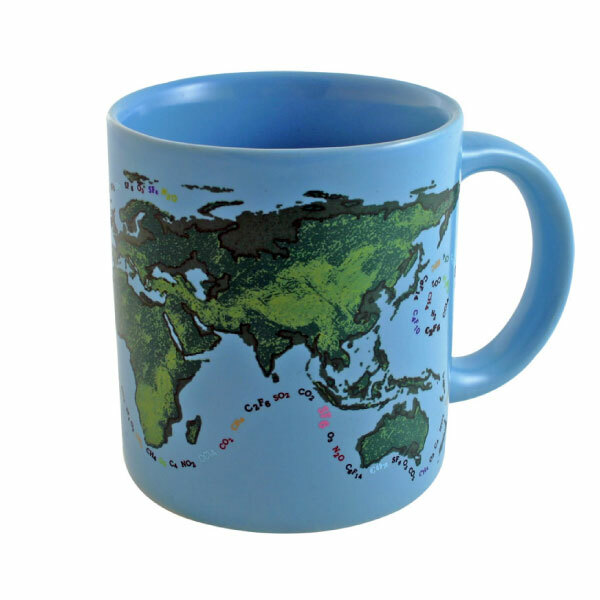 You can drink your tea or coffee from an 'I Love Kittens' or 'Go Packers' mug, or you can help save the world with this Global Warming Mug. Of course, not everyone wants to be reminded of planet-wide catastrophe during their afternoon coffee break. But if you're the type of person who confronts difficult issues even during your downtime, you should consider getting one. 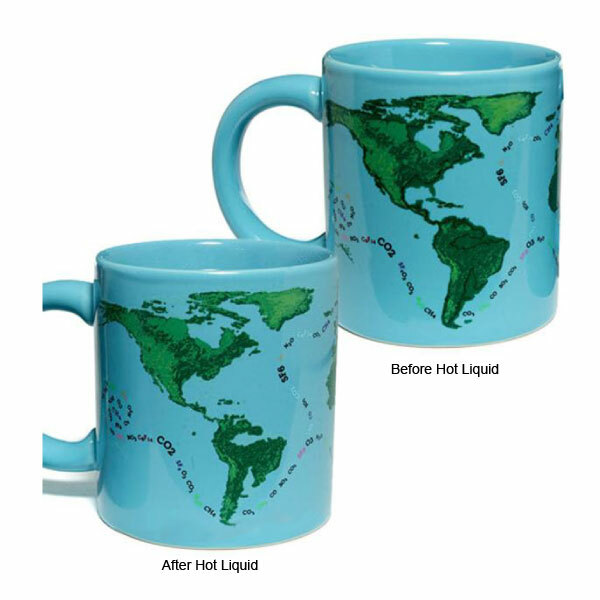 When you pour in hot liquid, the mug shows what will happen when the Polar Ice Caps melt - Before your very eyes, coastlines shrink and ocean levels rise, Florida dissolves and Central America all but vanishes. 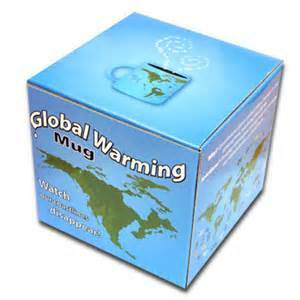 So show you care and buy a Global Warming Mug -- it won't fix the problem, but it will illustrate it in a really cool way. Peacemonger will be offering many new and very cool mugs in the near future. Peace mugs, art mugs, funny mugs, political mugs, environmental awareness mugs, and more. We pack each mug with extra care. Whether you are buying for yourself or as a peace gift for a loved one, rest assured your mug will arrive in one Peace! Use as directed. As with all our items, Peacemonger mugs come with our standard 100% satisfaction guarantee. 3 1/4" diameter, 10 ounces.